Every quarter, the global 3D Hubs network releases an extensive 3D printing industry report on the latest trends, covering materials, printers, manufacturers, and even the cities and countries creating the most 3D prints. The 3D Hubs 3D Printing Trends report is based on data from 6,000 active international service providers. 3D Hubs often changes the report up, adding or removing categories, but as we look at 3D Printing Trends Q4/2017, just released and available for download today, that doesn’t seem to be the case this time around. However, that’s not to say that everything has stayed the same this quarter. Starting with the Highest Rated Industrial Printers, the ProJet 3500 HDMax is still in the lead, with the Formiga P 100 making an appearance in the number two spot and the iSLA-650 Pro jumping up from seventh to third place from last quarter; all three have perfect printer quality ratings of 5.00. SLS technology is still strong, though Material Jetting is right on its heels, and HP’s Multi Jet Fusion (MJF) technology has entered the fray. “Another notable new entrant is HP’s new machine the Jet Fusion 3D 4200 showcasing its Multi Jet Fusion technology with a respectable #9 with a 4.75 rating,” the report reads. Speaking of MJF, it’s now the second most used industrial machine on 3D Hubs, with an output of 2,952 prints on the network; pretty impressive for a new technology that first became available on 3D Hubs in June. SLS 3D printers now make up 70% of the list, with the PolyJet technology of the Objet Connex500 and the Objet30 Pro rounding out the top 10. 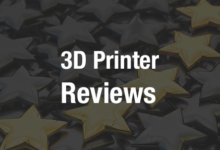 In terms of the Highest Rated Desktop printers, Prusa 3D printers are now in the top two places, with the Zortrax M200 down one spot. As for the rest of the top five, the Form 2 has moved up to the number four spot with a 4.87 Print Quality Rating, as the FlashForge Creator Pro shifts to number five. The Makergear M2 has a strong showing as well at a solid number six. The Form 2 and the Original Prusa i3 MK2 have switched places on the Most Used Desktop Printers list, only the second time this category has existed. The Form 2 is still the only SLA printer on both of the desktop lists, though with a lower number of print jobs from last quarter. The FlashForge Creator Pro is holding steady at number three, while the Ultimaker 3 Extended and the Original Prusa i3 MK2S are both making their first appearances in the number four and five spots, respectively. “The Ultimaker 3 Extended enters the list for the first time at #4 with close to 6,000 prints made, doubling the output of the Ultimaker 3 from Q3 which finished with 2,256 prints made,” said 3D Hubs. A lot has changed in this quarter’s Trending 3D Printers, with the Wanhao Duplicator 7 coming in first with 166.7% quarter-over-quarter growth and the Original Prusa i3 MK2S in third; the only thing in the top five that’s stayed the same is the Creality CR-10 at number two, with 86.7% growth. Both the Ultimaker 3 and the Tevo Tarantula are up in the list at number four and five. Ultimaker continues to reign supreme in Printer Manufacturer Distribution, though Prusa Research is gaining on it. Formlabs has moved up to the number three spot with 5.2% total market share, and MakerBot and FlashForge are neck and neck at 4.90%. “With the release of the Original Prusa i3 MK3 and Ultimaker’s continually popular Ultimaker 3 series it will be interesting to see how the gap at the top changes in Q1 after the winter months,” said the 3D Hubs team. In terms of Printer Model Distribution, while the Original Prusa i3 MK2 is still in the lead, the Form 2 has moved up, knocking the Ultimaker 2, the Zortrax M200, and the FlashForge Creator Pro each down one place. “The Form 2 takes the silver medal this quarter moving up two places, finishing in its highest position ever with 3.8% of the active machines listed,” 3D Hubs said. The Original Prusa i3 is only the top pick for two regions now, down from five last quarter, and the FlashForge Creator Pro is number one in South America and the Asia-Pacific region. SLS has now become the most used industrial 3D printing process, while PLA and ABS are still the most popular materials, and black is still beating white for color distribution. The biggest announcement this quarter comes in the Top Print Cities, as London has finally overtaken New York in the #1 spot. More changes abound as Paris is now down to number five, with Dallas and Melbourne respectively holding the number three and four spots. No big surprise, but the US is still number one in terms of Top Print Countries, with the UK and the Netherlands still in second and third place and Australia and Germany rounding out the top five. 3D Hubs has seen some trouble lately as the community hasn’t responded well to recent changes in policy with the automated selection feature that weren’t communicated directly to hub owners. With several thousand linked local manufacturing hubs, and the growth of 3D printing technologies available on the market, we’ll be watching to see how future situations in balancing updates geared toward customers and toward hub owners are handled. You can learn more by checking out the Q4 3D Printing Trends here. 3D Hubs users who are logged in can just enter their email address to receive the report in their inbox. What do you think about this quarter’s trends? Discuss this and other 3D printing topics at 3DPrintBoard.com, or share your thoughts below.